Many of the tasks that need to be done in the garden are the same for most types of plants. So if you’ve recently added roses to your garden, you will find that you’re already many of the required tasks to keep them healthy and flourishing. Still, there are some particularly things that need to give your roses the proper care and attention they need. Here are some tips to remember when maintaining and cultivating your rose garden. When you’re first planting out your rose garden, make sure you allow plenty of room between the rose bushes. Leave at least eighteen inches between standard garden varieties, up to thirty inches between bushes, and as much as eight to twelve feet between climbing roses. 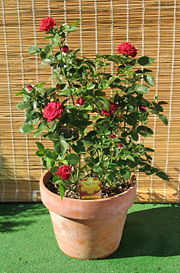 Miniature roses aren’t as fussy, and can be planted as close as twelve inches apart. If your roses are smothered and competing for the available food and water, they won’t thrive and reward you for your effort. It’s important to give your rose garden plenty of water. Roses are very thirsty flowers, and it’s important to make sure you always saturate your roses when watering. Don’t make the mistake of thinking that sprinkling your rose bush with the house for five minutes a day is sufficient. Take the time to soak the soil around your rose bush thoroughly, so that the water can seep down deep into the soil and supply plenty of water for your roses to drink. 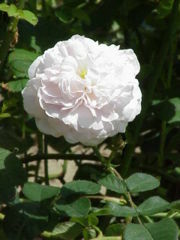 Roses love the sunshine, so make sure you plan your rose garden to maximize the amount of sunlight your roses receive. However, rose blooms can get burnt by the sun, so if you live in an area that’s particularly sunny and warm, you might want to be careful about which breeds of roses you plant in your garden. Your local nursery should be able to help. Even so, most roses like to receive at least six hours of sunlight a day, so plan accordingly. If your garden is a little shadier than that, take the time to choose shade tolerant varieties. By planning your rose garden sensibly in the first place, and then taking the time to give your roses what they need, you’ll be rewarded with a beautiful rose garden that all your friends will envy.